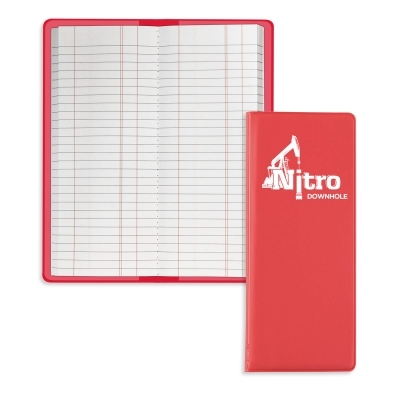 Flexible cover options are designed for those that keep their tally books in their back pocket, giving more comfort when you maneuver in tight place. Great for tower climbers, electricians, wind turbine repairmen, oil rig workers, water and cable repairmen. Optional Imprint size for Full-Color imprint: Full front and back.